November 13, 2015 | Karen T. Willitts, Esq. 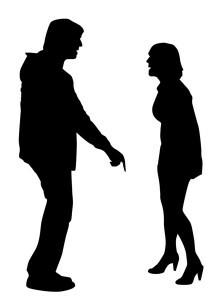 Generally, the concept that in domestic violence matters the concept that a defendant could defend oneself by asserting that their violence towards the plaintiff was deserved or provoked in some way is an abhorrent concept, and would likely not be a successful argument in defending against against an accusation of domestic violence. However, in an as yet unpublished July, 2015 decision in the matter of R C v R W, decided by the Honorable L.R. Jones, J.S.C., a prolific writer of trial court opinions, the family court addressed the following question: “What happens when a plaintiff seeks a final restraining order against a defendant for conduct which arises from plaintiff’s own violent provocation?”. In this matter, the plaintiff obtained a temporary domestic violence restraining order against the defendant, his former live-in girlfriend and mother to his two children, based on criminal mischief, accusing her of throwing a brick and a videogame system into the side of his Nissan. Though Defendant did not deny her actions in damaging the property of her former boyfriend, Judge Jones did not enter a final domestic violence restraining order against her. Why? Judge Jones examined the behavior of the Plaintiff that lead Defendant to demonstrate violence towards him. In this matter, the parties had a four year dating relationship, had cohabited for two of those years, and had two children together. During that relationship, Plaintiff exclusively drove a Nissan that was titled in his name. Defendant exclusively drove a Buick that was also titled in Plaintiff’s name, although she contributed a portion of the purchase price. She also exclusively used a cell phone that was registered to Plaintiff. During their relationship, Defendant gave Plaintiff a Playstation videogame system, which the children also used for entertainment. The parties’ relationship eventually soured, and Plaintiff forced Defendant to move from their apartment by intentionally shutting off the electrical service. Defendant packed up her and the children’s belongings into the Buick and moved into her mother’s home, without any objection from Plaintiff who himself moved out of the apartment. Plaintiff filed no action against Defendant for her moving the children with her, nor for the return of the property that she took with her. Defendant filed no action against Plaintiff for custody or child support. The parties worked out an amicable arrangement for the weekends that Plaintiff would visit with their children. On one date in July, 2015 when Plaintiff returned the children at the end of his weekend, he decided to address with Defendant his suspicion that she was seeing another man. He forcibly removed her cell phone from her hands and searched it for evidence of this relationship, while Defendant struggled to get her phone back. After Plaintiff learned from the Defendant’s cell phone that she indeed was seeing someone else, Plaintiff called her a “Whore” and told her that he no longer agreed to her keeping the Playstation for the children to use, and he used his key to remove it from the trunk of the Buick. When Defendant objected to that, Plaintiff told her that he no longer agreed for her to drive the Buick anymore either. He picked up a cinder block and threw it through the back windshield of the car. Defendant picked up a smaller brick and the Playstation and threw them against the side of the Nissan. Plaintiff picked up some more bricks and threw them through the front windshield and side windows of the Buick, leaving Defendant without any transportation for herself and the children. Plaintiff filed for and obtained a temporary domestic violence restraining order on the basis of criminal mischief in violation of N.J.S.A. 2C:17-3 because Defendant damaged Plaintiff’s car when she hit the side of it with the brick and the Playstation. Criminal mischief occurs when a defendant “purposely or knowingly damages tangible property of another . . .”. He also sought custody of the parties’ children based on the statutory presumption that the victim of domestic violence should have custody. Neither party really disputed their actions. Plaintiff did not deny that he started throwing bricks first or that he threw them at the Buick that Defendant drove. He argued that his actions were permissible because he was the titled owner of the Buick that he damaged, but that Defendant’s actions were impermissible because she did not own the Nissan that she damaged. Plaintiff did not assert that there was any prior history of domestic violence, nor did he testify that he was afraid of Defendant. Defendant did not deny that she threw the brick and the Playstation against the Nissan. She admitted that her actions were inappropriate, but she noted that she had never been violent towards Plaintiff before and said that she had thrown the brick and the Playstation impulsively because of Plaintiff’s actions towards her. She was also remorseful for her actions. She opposed the los sof custody of her children because of this incident. Judge Jones denied Plaintiff’s request for the entry of a final domestic violence restraining order. In his decision, the judge stated that this case was a “classic example of exactly why a domestic violence case can never be appropriately adjudicated in a vacuum without thorough consideration of the context and surrounding circumstances”, that the family court as a court of equity must do more than “rubber stamp” decisions, and that such domestic violence adjudications are fact sensitive. Based on the totality of the circumstances of this case, Judge Jones found that the entry of a final restraining order would “constitute a fundamental miscarriage of justice” and that it would turn the entire purpose of the Prevention of Domestic Violence Act upside down. Citing Corrente v. Corrente, 281 N.J. Super 243, 248 (App. Div. 1995), the Court reasoned that not every act of alleged violence automatically mandates the entry of a final restraining order. Judge Jones relied on the test established in Silver v. Silver, 387 N.J. Super. 112 (App. Div. 2006), to determine whether a final restraining order should be issued. First, the trial court has to find a by a preponderance of the evidence that the defendant committed an act of domestic violence; then the court must decide if there is an immediate danger to the plaintiff’s person or property that warrants the issuance of a final restraining order. Judge Jones stated Plaintiff’s violent provocation of Defendant was relevant to his claims against her. He wrote: “While non-violent provocation is generally not an acceptable defense to, or justification for, domestic violence, plaintiff’s violent provocation of defendant is an entirely different matter altogether, and such violent provocation is in fact a relevant, logical, fair and equitable consideration by this court. Perhaps the largest reason for this conclusion is that such violence, when perpetrated by the plaintiff seeking relief under the Act for the direct consequences of his actions, stands in pure and complete denigration of the very principles and protective policies that the Domestic Violence Act was designed and enacted to support.” The judge found that (a) Defendant’s reaction to Plaintiff’s violent provocation was immediate, instinctive and impulsive rather than planned and premeditated; (b) her reaction was proportionately no more violent than the actions of Plaintiff, whose own violence toward Defendant initiated and provoked the altercation; (c) there was insufficient evidence that Defendant caused Plaintiff substantial harm, and (d) Defendant has no significant history of prior violence against Plaintiff. The Court felt that in these particular circumstances, Plaintiff’s violent provocation explained why a traditionally non-violent Defendant acted the way she did. Plaintiff’s argument that his actions in throwing bricks through the windows of the Buick were permissible because he was the titled owner of the vehicle he damaged were NOT accepted by Judge Jones. The judge noted that Defendant could have obtained a domestic violence restraining order against the Plaintiff on the grounds of harassment as it could be inferred that the Plaintiff’s actions were designed to alarm, upset and harass Defendant. The Court did not feel that the fact that Defendant’s name was not on the title made Plaintiff’s actions any less harassing to Defendant. Judge Jones concluded that when considering the impact of a Plaintiff’s violent provocation in domestic violence cases, the courts can consider factors that include: (a) What was the specific nature and degree of the plaintiff’s violent provocation? (b) Does the evidence reflect that the defendant’s response premeditated, calculated and sustained, or rather, an instinctive and impulsive reaction to plaintiff’s violence with little or no time for reasonable thought and contemplation? (c) Was the defendant’s response out of proportion to the plaintiff’s initial violent provocation; (d) Did the defendant’s action result in substantial harm to the plaintiff? and (e) Is there any significant prior history of violence by the defendant towards the plaintiff? Judge Jones felt that Defendant’s actions were “knee-jerk” reactions to Plaintiff’s own violence exhibited toward her. He initiated throwing bricks and he continued to do so after Defendant threw one at his car. Judge Jones noted that while the Nissan was damaged, it can be repaired, and that Defendant did not cause any injury or bodily damage. The Judge did not feel that a final restraining order was necessary as it was unlikely that the Defendant would be violent again as long as Plaintiff kept his own hands to himself. He felt that the Defendant has as much right to be left alone as the Plaintiff does. Judge Jones also addressed his frustration over the frequency with which normally responsible adults “seem to constantly end up in court after physically grabbing, pushing, shoving, wrestling, punching, and even biting each other over possession of a cell phone. Generally, the struggle is not over the physical phone itself, but rather over access to the information and data stored on the phone. . .”, noting that sometimes people secretly look at another’s cell phone. 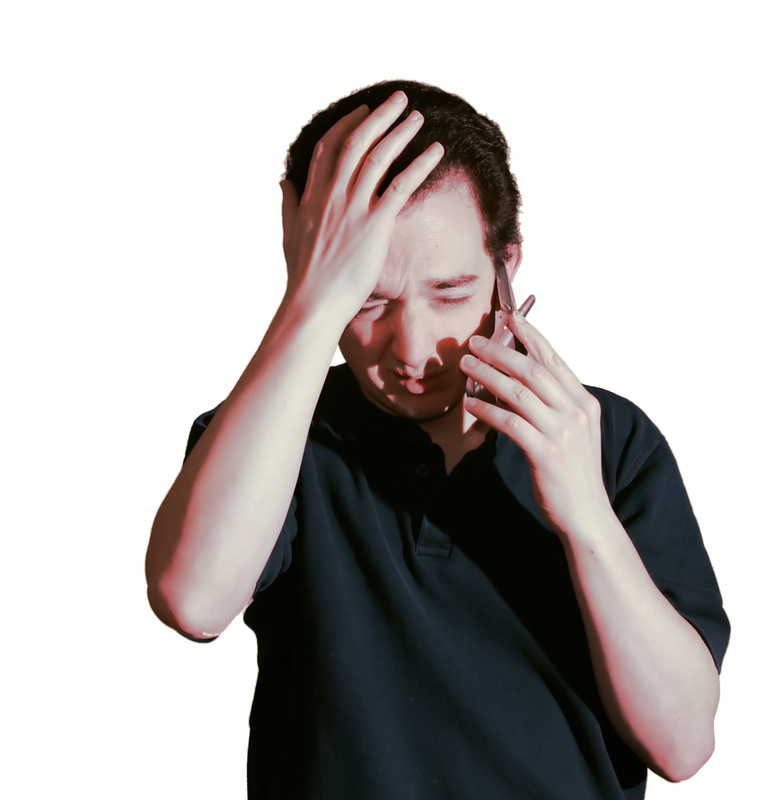 He found that even though Defendant’s cell phone was in Plaintiff’s name, he had no right to grab and forcibly take the cell phone that she used from her in order to obtain the information on it. He reasoned that the courts cannot allow “every overly dominating and controlling person” to keep a cell phone in his name to insure that in the future he/she could physically grab the phone back and examine the personal contents. The court also pointed out that New Jersey’s wiretapping statute does not allow a phone’s subscriber to intercept communications on that phone to which the subscriber was not a participant in that communication. It is apparent that Judge Jones’ intention was not to conclude that in domestic violence cases, the court should examine whether the Plaintiff “deserved” violence against him/her. Rather, Judge Jones indicated that domestic violence cases are fact sensitive, that they cannot be considered mechanistically, and that all of the circumstances have to be weighed in order to preserve what the Prevention Against Domestic Violence Act was designed for.